The 8th edition of the Global Nonviolent Film Festival takes place September 19 – 29, 2019 on-line. “In such turbulent times, it is refreshing to work with such an experienced film festival that focuses on the important issues we face today. Thank you for giving a platform to so many filmmakers not following the Hollywood hype and telling stories in alternative ways. We look forward to our continued collaboration in the future.” – Marco Orsini, executive producer of the music video and of the documentary “Dangerous Crossings” / “Dangerous Crossings: The Making of a Campaign” that were produced in cooperation with the United Nations’ High Commissioner for Refugees (UNCHR); awarded Best Music Video and Best Short Documentary, respectively, at the 2018 Festival. “The Global Non-Violent FF is one of the world’s best on-line festivals as it is run by a passionate team whose communication is outstanding. They are one of the most organized and easy to cooperate with festivals and treat each film with the greatest respect, care and attention.” – Rebekah Smith, founder of The Film Festival Doctor. “The Global Nonviolent Film Festival is unique in its choice of subject matter, showcasing films with positive messages. Because these themes are so thought-provoking, the Festival performs its important objective of spreading these messages around the world. It is fascinating, too, to see different ‘takes’ on similar subjects from the world’s film makers.” – Peter Williams, awarded Best Director in a Feature Documentary 2018 for “A Century of Coal”. “Thank you for an amazing experience!! Your “worldwide” format for this festival gives great opportunity for film makers. An unforgettable time for sure!! Thank you again.” – Donald Miller, awarded Best Production in a Feature Film 2018 for “If I Could Run”. “I am glad to be a winner at this amazing festival. Perfect communication, perfect organization experience.” – Mehmet Tığlı, awarded Best Screenplay in a Short Film 2018 for “A Ferry Tale”. “We were very grateful for our experience with the Global Nonviolent Film Festival. We’re looking forward to showing future films here.” – Isaac Hertz, awarded Best Director in the Feature Documentary Category 2017 for “One Rock Three Religions”. “We are honored to have had our feature documentary selected by Global Nonviolent Film Festival. It’s a venue that provides a wide selection of excellent international films for an online viewing experience. Global’s unique presentation will no doubt grow into a cinematic wave for film festivals in the future.” – Bo Boudart, awarded Best Documentary in the Feature Documentary Category 2017 for “Paying the Price for Peace: The Story of S. Brian Willson”. Filmmakers from every corner of the globe are invited to submit their films, documentaries, docudramas (shorts, features, animation) and music videos to this vanguard on-line festival that showcases the best in nonviolent cinema. The Film Festival Doctor works within the areas of film distribution, event management and PR. So far, The Film Festival Doctor helped filmmakers acquire world distribution and win over 500 awards at international film festivals. Contact TFFD for more info. InkTip – “Producers have made more than 375 movies from scripts and writers found on InkTip. Register Now. Every week producers option or buy an average of 5 more scripts from InkTip writers. Find scripts in every genre and every budget fast. Producers Register Now: Find scripts fast and easy! Writers Register Now & List Your Scripts: Sell your scripts! Check out some of the companies who are InkTip members: ABC, Anonymous Content, APA, CBS Films, HBO Films, ICM, Paradigm, Paramount Pictures, Hallmark Channel, FX, Universal, WME, Echo Lake, Zero Gravity, Bad Robot, 20th Century Fox, and many, many more. Register Now. October 18, 2018 — Hollywood, California — The 8th edition of Global Nonviolent Film Festival will take place from September 19 to September 29, 2019. Submissions are now open. Global Nonviolent Film Festival is the most important and renown nonviolent film festival in the world and it takes place on its on-line TV Channel. The Festival was founded by film director Bruno Pischiutta and producer Daria Trifu in 2012 to showcase nonviolent motion pictures and to show that these movies are not only capable of great international success but that they are also in high demand by the public. Filmmakers from every corner of the globe are invited to submit their films, documentaries (shorts, features, animation) and music videos to this vanguard on-line festival that showcases the best in nonviolent cinema. For 11 consecutive days each year, the world viewers can watch the films selected at Global Nonviolent Film Festival and enjoy them from the comfort of their homes. They can read about the filmmakers in the annual Daria! magazine and they can view, every day, the video presentations provided for every movie. This makes Global Nonviolent Film Festival the best place for producers to showcase their work. All films submitted must be nonviolent: the Festival does not accept films that showcase explicit or graphic violence; implied acts of violence may be accepted if they are justified by the message of the film. The Festival is IMDb-accredited and it works with FilmFreeway, Withoutabox, FilmFestivalLife, Reelport and ClickforFestivals. Throughout the years, the Festival awarded new filmmakers and established film Stars such as Nicole Kidman, Woody Allen, Richard Gere, and Robert Redford. Some of the awarded films gained access to theatrical releases and have competed for Academy Award®’s nomination consideration. “In such turbulent times, it is refreshing to work with such an experienced film festival that focuses on the important issues we face today. Thank you for giving a platform to so many filmmakers not following the Hollywood hype and telling stories in alternative ways. We look forward to our continued collaboration in the future.” – Marco Orsini, executive producer of the music video and of the documentary “Dangerous Crossings” / “Dangerous Crossings: The Making of a Campaign” that were produced in cooperation with the United Nations’ High Commissioner for Refugees (UNCHR); awarded “Best Music Video” and “Best Short Documentary”, respectively, at the 2018 Festival. The Festival fights world violence one film at the time! Any world brand and organization with strong social responsibilities’ commitments and principles that are against violence should consider sponsoring this global event. 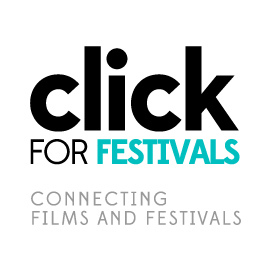 The Festival gives special thanks to its long-term partners, The Film Festival Doctor, InkTip and iPitch.tv. Global Nonviolent Film Festival is owned and organized by Global Film Studio, a Canadian media company focused on ventures that are socially conscious and nonviolent. Submit your film now for a chance to showcase your work at the most important and renown nonviolent film festival in the world! Some of the films that have participated to Global Nonviolent Film Festival in the previous years went on to get distribution and to qualify for nomination consideration at the Academy Awards. Between September 20 – 30, the films are available for viewing only on the Festival’s TV Channel and NO downloads are possible. Downloads of the films are not allowed for the protection of the product; additionally, as soon as the Festival ends, all the films are removed from the channel. The trailers, however, remain available indefinitely so that the films continue to be promoted internationally for a very long time. Any other festival, such as Cannes, showcases the films locally only; the international viewers do not have access to watch them or to familiarize themselves with the names of all the selected filmmakers. At Global Nonviolent Film Festival, the world viewers can watch the films and enjoy them from the comfort of their homes; they can read about the filmmakers in Daria! magazine and they can view, every day, the video presentations provided for every movie. This makes GNFF the best place for producers to showcase their work. Members of the media who are interested to watch and review the participating films, are invited to apply for a VIP Pass that will give them access to viewing all films, on the Festival’s on-line channel, during the 11-day period of the event, from September 20 to 30. The Festival fights world violence one film at a time! Any world brand and organisation with strong social responsibilities’ commitments and principles that are against violence may like to consider sponsoring this vanguard film festival. Global Nonviolent Film Festival is owned and organised, since 2012, by Canadian company Global Film Studio, a media company focused on ventures that are socially conscious and nonviolent. Film producer Daria Trifu serves as the Festival Director and film director Bruno Pischiutta is the Artistic Consultant. Over the years, the Festival launched new filmmakers as well as awarded Stars like Nicole Kidman, Woody Allen, Richard Gere, and Robert Redford, among many others; some of the films awarded gained access to theatrical releases and have competed for Academy Award®’s nomination consideration. We want your film at Global Nonviolent Film Festival! Global Nonviolent Film Festival showcases some of the best nonviolent feature films, shorts and documentaries from around the globe. The 7th edition of the on-line film festival takes place September 20 – 30 on its TV Channel. More submission options are available on the right hand side of this page. The 2018 issue of Daria! is currently in production and it will be published in the beginning of September. Film Director Flaminia Graziadei who’s film “Arrivederci Rosa” was an Official Selection at the 2016 edition of Global Nonviolent Film Festival (previously known as Brasov Int’l Film Festival). The Festival has been recognised by the IMDB and all the awards handed each year are listed there. The Festival thanks it’s 2018 partners: The Film Festival Doctor and InkTip. This year, Brasov International Film Festival & Market (14 – 24 September 2017) has partnered with InkTip to further promote the Festival to a wider audience in the film industry. InkTip: Where producers go for scripts and writers. Producers have made more than 315 films from scripts and writers they found through InkTip. Every week producers option or buy an average of 5 more scripts from InkTip writers. Find scripts in every genre and every budget fast. Producers Register Now (it’s free! ): Find scripts fast and easy! Selected winners at the Brasov International Film Festival & Market will receive an InkTip Script Listing to promote themselves and their scripts to InkTip’s entire network of producers, managers, and agents. Don’t miss your chance to submit your film to Brasov Int’l Film Festival, the most important and renown nonviolent film festival in the world. Brasov International Film Festival & Market is the most important and renown nonviolent film festival in the world. The 6th edition of the Festival takes place September 14 – 24, 2017. The films selected to participate in the Festival are guaranteed a distribution contract proposal from Global Film Distribution, a Division of Global Film Studio Inc. The Festival, founded by film director Bruno Pischiutta and producer Daria Trifu in 2012, showcases nonviolent films and demonstrates how those movies are not only capable of great international success, but are also in high demand by the public.